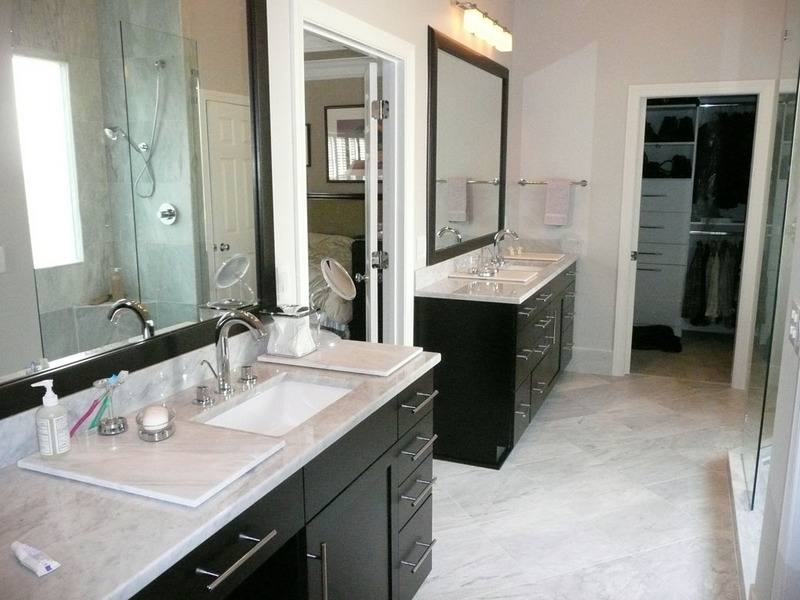 Voila; a 1994 builder grade master bathroom transformed into a stunning haven for cleansing the body and soul. 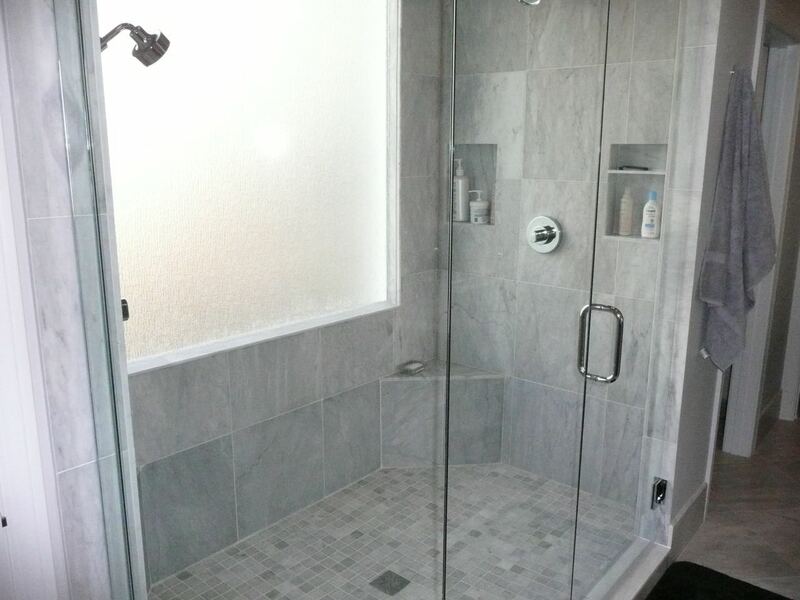 The homeowner wanted a contemporary, clean look that was reminiscent of a bathroom found in an elegant boutique hotel in South Beach. 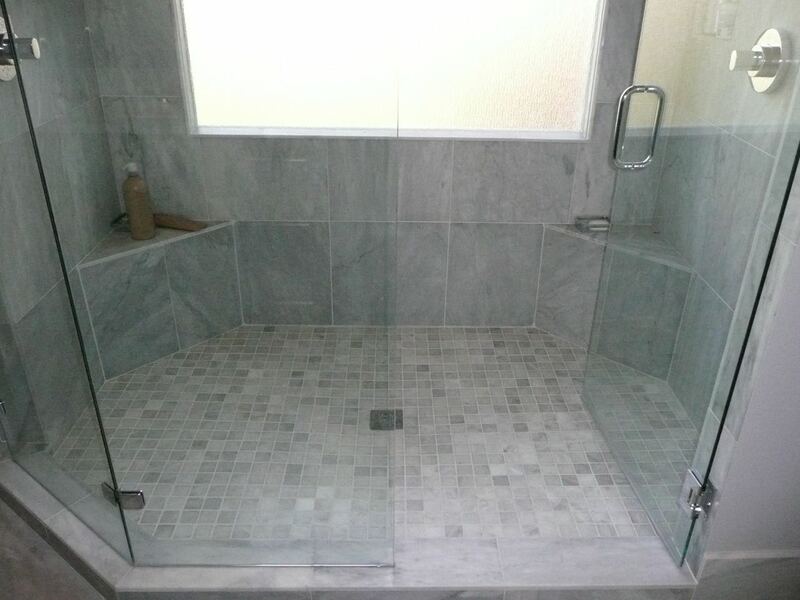 An extra large shower with a rain patterned picture window in the backdrop was a priority. 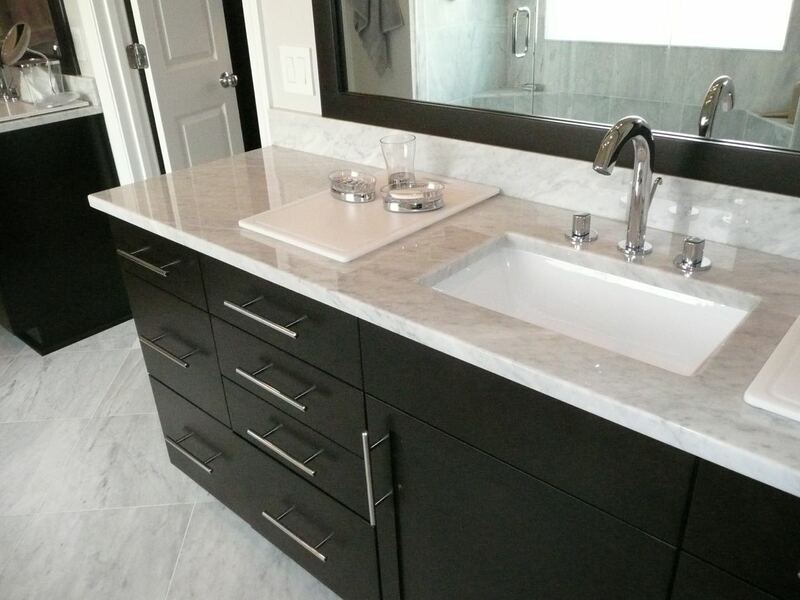 The elegance of cool whites and grays made Carrara marble, throughout, a striking choice to contrast against the espresso stained cabinets and chrome hardware.